Review Focus Dailies Toric Great lenses. Never had a problem with them. Review Focus Dailies Toric Very comfortable - worth the extra expense to not have to clean and sterilise - easy to use. Review Focus Dailies Toric These were very good lenses just a pity they stopped making them. Review Focus Dailies Toric Great! Review Focus Dailies Toric So far the best I tried. Review Focus Dailies Toric Same as the lenses I can get from my optician but much cheaper through VisionDirect. Review Focus Dailies Toric Best product for convenience and value. Review Focus Dailies Toric Easy to use and extremely quick delivery, can only give 5 stars, would give more if possible! Review Focus Dailies Toric I struggle with wearing contacts because my eyes dry the lenses out really quickly. I usually only use contacts for sport so would only wear them for a few hours at a time. These contact lenses have been fantastic. I can wear them for a lot longer, upto a whole day at a time with out them drying out. They have been extremely comfortable. So much so I actually look forward to putting them in before sport! Review Focus Dailies Toric I am very happy with my dailies contact lens,and also with the efficient service kind regards Deborah Holland. Review Focus Dailies Toric Excellent product and very good value! Review Focus Dailies Toric Great service and product.Next day delivery.Thank you. Review Focus Dailies Toric I have used this product for quite some time now without any issues or problems. During this time I have always purchased my lenses from Vision Direct who have proved to be very efficient and consistent in their business dealings. Although you cannot get excited about wearing contact lenses I would recommend the product and the provider to anyone who is now faced with this need. 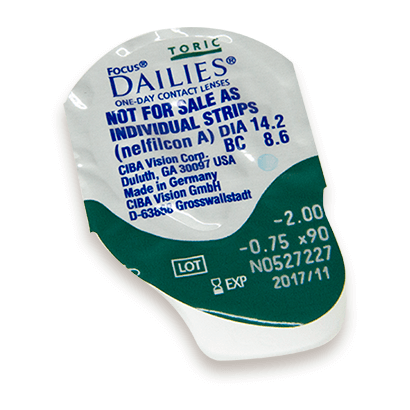 Review Focus Dailies Toric Great for comfort, never fall out like some other contacts. Definitely value for money. Review Focus Dailies Toric Good lenses... can feel a little dry / gritty by the end of the day though. I enjoy them most for short term us (6-8 hours). Excellent clarity of vision and all day comfort - What more could you ask for? .... Oh yes, cheap as chips from Vision direct! Saved on high street prices and I can buy as and when I need. Review Focus Dailies Toric Excellent product for my occasional use (weekends, holidays etc). I can recommend them for that. also a good cost by comparison for people with a double astigmatism. Review Focus Dailies Toric I'm very impressed with these lenses. They are comfortable and the shipping time was awesome! I will be ordering again. Review Focus Dailies Toric Excellent service, fast delivery, great lenses! Review Focus Dailies Toric Very comfortable and easy -to-use lenses. Reasonably good value for money. Review Focus Dailies Toric Great comfy lens, good value for a toric. Review Focus Dailies Toric Contacts came really fast. I'll definitely will be ordering from them again. Review Focus Dailies Toric I have worn these for a number of years and find them comfortable, although I do not wear them all day long. I use them for occasional wear like when doing sports or going out. Review Focus Dailies Toric Great product at a frair price with speedy delivery. Easy to order online too! Review Focus Dailies Toric Itchy after 8 hours but good clarity. Review Focus Dailies Toric Great value for money and very comfortable when worn in long days. Review Focus Dailies Toric I couldn't be more happy with the service and my lenses. Price is great and next day delivery too! Review Focus Dailies Toric So much better value ordering directly than going through a regular optician. Amazing delivery time, I ordered on a Sunday and they arrived the next day in the morning. Review Focus Dailies Toric Excellent service from Vision Direct - next day delivery as stated and product is as it should be. Thanks will be ordering again. Review Focus Dailies Toric I have been using these lenses for about 4 years now and have found them to be very comfortable. I have no problem wearing them all day and completely forget I have them in. The astigmatism correction seems to work really well. They are great value for money and I would certainly recommend them. Review Focus Dailies Toric One of the best decisions I have made. They are so comfortable that I have on occasions gone to sleep wearing them! I am 63 and need the astigmatism correction but I also need to vary the power of each eye to best accommodate distance vision and everyday work in the house and on the computer. This provides for great flexibility. Ordering online is effortless and delivery excellent. Review Focus Dailies Toric Brilliant, easy to use and comfortable. Review Focus Dailies Toric As someone who first wore contact lenses in the 1980s with all that cleaning and de-proteining and worrying about losing one when it cost two months worth of salary, coming back to wearing contact lenses with these Dailies was a dream come true. Great vision, comfy and somehow, dust never seems to get under them like it did in the olden days. Review Focus Dailies Toric Comfortable and clear. 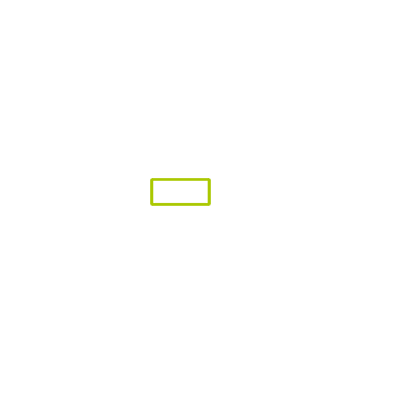 Toric feature brings my astigmatic eye up to par. Cost a bit more but not prohibitive. I think comfortable clear eyesight is somthing worth spending money on. Review Focus Dailies Toric Great service, quick delivery! Review Focus Dailies Toric These contact lenses are easy to insert and comfortable to wear. Service is quick and efficient and always arrives prompty with no fuss. Review Focus Dailies Toric good lense, fast delivery! What else could I need? Review Focus Dailies Toric Good lenses for occasional use - sports, going out etc - but I don't have them in all the time. Very good service in terms of delivery, ease of ordering. Review Focus Dailies Toric Much cheaper than when I've bought them from high street opticians. Excellent value! Review Focus Dailies Toric Very good product - would thoroughly recommend as I've been wearing them for the last 5 years and found them to be very comfortable. Review Focus Dailies Toric Easy-to-use and reliable - I've never had any trouble with split or damaged lenses from this manufacturer. The lenses themselves are blue tinted and marked to help correct orientation. 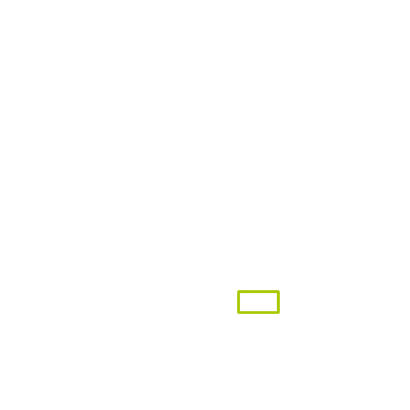 No difference between the toric and non-toric lenses in terms of wear. The solution is also pleasant for the eyes and doesn't sting. Review Focus Dailies Toric Still comfortable after wearing for 16 hours a day. Good lenses. Review Focus Dailies Toric Good price and comfortable. No problems at all. Review Focus Dailies Toric Focus dailies are my everyday lens.. great value and good quality. Comfort is good.. I can wear them all day without any problems. They can dry out a little if I have a long night out but so would my eyes without lenses probably! Review Focus Dailies Toric Very good and comfortable, cheaper than getting them from opticians. great buy, worth the money. Review Focus Dailies Toric Since my optician prescribed these toric lenses a few years back, I've been ordering these ever since from Vision Direct. They're more expensive than standard lenses as they are toric, but they are very comfortable and once they're in I forget about them for the day and just throw them away at night. They are much softer and less obtrusive than the monthly toric lenses I once tried. Review Focus Dailies Toric I love these contacts, easy to wear & take out, discreet and clear vision when in - I also save huge amounts from buying these online! Review Focus Dailies Toric These are my favourite contact lense. They are so comfortable to wear and really robust, no falling out if you accidentally rub your eye forgetting you have lenses in (which you will if wearing these!). Excellent price from Vision Direct and super speedy service as always. Review Focus Dailies Toric Does the job. Review Focus Dailies Toric Used Dailies Toric from Vision Direct for years. So comfortable I can't tell they're in 99% of the time. Quick delivery & easy reordering system. Very good service - recommended. Review Focus Dailies Toric Switched from monthlies for comfort and have not been disappointed. Vision almost never blurs, which is a bonus. Delivery is always prompt and never any issues with the supplier. Price is a little steep! Review Focus Dailies Toric Comfortable lenses, no issues. Hassle free ordering and very quick delivery from Vision Direct, have been using them for a while and will continue to do so. Review Focus Dailies Toric These lenses are reliable and comfortable, great value for your money! Review Focus Dailies Toric These are fantastic daily toric lenses - very reasonable from VisionDirect!! Review Focus Dailies Toric Better than the Acuvue lenses. These don't invert as easily and are easier to insert because they have more rigidity. Review Focus Dailies Toric Great vision. Occasionally a bit uncomfortable after long game but guess no different to most lenses. Review Focus Dailies Toric Great lenses, comfortable for all day use. Review Focus Dailies Toric I have very sensitive eyes so I can't say I've ever worn lenses that feel great all day but these are pretty close. I like the engraved marks on them! One time one split while I was putting it in which was very painful however I imagine that was more of my fault. Review Focus Dailies Toric Happy with these lenses. Comfy and no fuss with them being one time use. Review Focus Dailies Toric Always just as expected, good quality, fast delivery, great price thanks again. Review Focus Dailies Toric Great contacts and great delivery. Got mine the next day so worrying about not getting them in time for a night out celebrating a friend's 18th was great! Review Focus Dailies Toric Very comfortable. Great service. Review Focus Dailies Toric Vision for reading not great but better than ordinary lenses (I have an astigmatism). Service consistently good, no complaints. Review Focus Dailies Toric I am completely satisfied with this product. Review Focus Dailies Toric I wear glasses 90% of the time but like to have some contact lenses for certain occasions. I find the daily toric disposable lenses fit my needs perfectly but if I wore them every day the cost would be prohibitive. Review Focus Dailies Toric Generally very easy to wear. Much better value when bought on line with a fast delivery service. Review Focus Dailies Toric These are the best lenses for me as I have dry eyes and an astigmatism. I can wear them comfortably for most of the day without a problem. Review Focus Dailies Toric perfect fit for my eyes. A good quality product. a little pricey. Review Focus Dailies Toric These are the best contact lenses I have used. The addition of the finely printed OK and horizonal lines makes fitting easy as it shows when lens is flipped inside out. 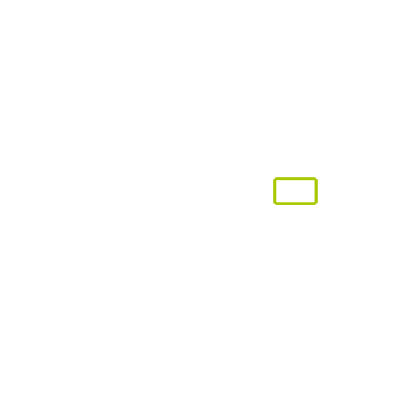 "OK" appears right way round at bottom of lens with lines horizonal when lense is correctly orrientated. Review Focus Dailies Toric Much better than wearing glasses or hard contact lenses. Review Focus Dailies Toric Not my cup of tea. Very hard and thick lenses. Review Focus Dailies Toric I always get great service from Vision Direct. 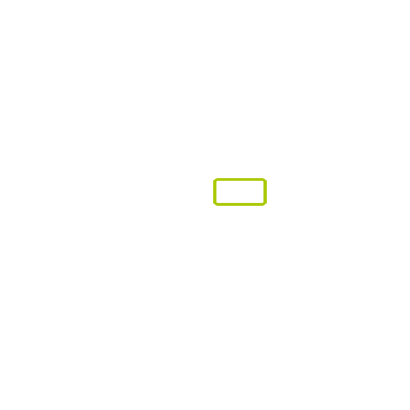 Their reordering system is simple to use and the products are top quality and excellent value. Review Focus Dailies Toric All round excellent lenses ! Recommend to anyone. Review Focus Dailies Toric Comfortable to wear with eyes not feeling dry at the end of the day. Review Focus Dailies Toric Very fast service.. Comfortable lenses at a good price. Review Focus Dailies Toric These lenses work very well with my astigmatism which I am told is quite severe. My eyes never dry out and I can wear them the whole day from office PC work to watching tv when I get home. Review Focus Dailies Toric I've never had a problem with these lenses and Visiondirect have always been reliable and fast, so no complaints at all. Good product and good service, not ,much more to say! Review Focus Dailies Toric Very comfortable lenses. So comfortable I have forgotten I've had them in a couple of times. When you add the value and speed of delivery and these are an easy option that makes the decision whether to get lazered a very difficult one both financially and hassle wise. Review Focus Dailies Toric These are the most comfortable toric lenses in my view. They go in with ease and last all day - as I drive a lot they are excellent. Review Focus Dailies Toric This is the first time I have purchased from Vision Direct, I can honestly say that this is a great product and reasonably priced, they arrived in the time stated and loved the added extra's in the box. Many thanks I will certainly be using this company again. Review Focus Dailies Toric Very satisfied with these contact lenses. I have been using them for many years. Review Focus Dailies Toric I can't recommend this product highly enough. I have worn them every day for years and never had a problem. They are always comfortable and consistently of a very high quality. Review Focus Dailies Toric Great contacts! The only brand I can wear for an entire day. Review Focus Dailies Toric Though it's the same everywhere, it's unfair to charge so much more for Toric lenses! Having said that, these are perfectly adequate lenses, and I don't get any other brand. Review Focus Dailies Toric Used these lenses for many years and wouldnt be tempted to change at any cost! Review Focus Dailies Toric Good fit, brilliant delivery. Review Focus Dailies Toric Never any problems with these lenses. Easy to insert, easy to remove, very light to wear. Review Focus Dailies Toric Value for money. Good products. Review Focus Dailies Toric I have been buying my lenses online for quite a few years now as they are much cheaper than from an optician and with a reminder of when your next order is due and the quick, efficient service, I can't go wrong. Review Focus Dailies Toric Very comfortable and perfect for long days in the office. Review Focus Dailies Toric I have using Focus Toric Dailies for over ten years now and I cannot fault them. Eye's never dry out and no discomfort, most of the time I forget I wear contacts! Worth paying a bit extra for these quality contact lenses. Review Focus Dailies Toric Excellent. Makes wearing contact lenses a pleasure. Review Focus Dailies Toric Used the product for many years and it's excellent. Review Focus Dailies Toric Love these lenses. Easy to drop in, and take out. Even after a long day. Review Focus Dailies Toric Good lenses and good service! Have been a Visiondirect customer for few years now and to-date have been very pleased with the service and and customer care. New price matching is excellent and ensures you are getting competitive prices. Review Focus Dailies Toric Good product. Lenses comfortable. Review Focus Dailies Toric Excellent basic toric lens. Very comfortable and they orientate well. Nice and easy to remove, too. Review Focus Dailies Toric Great lenses. They rarely dry out. No problems at all! Review Focus Dailies Toric Easy to wear very comfortable no fuss lenses. Review Focus Dailies Toric They are brilliant! Review Focus Dailies Toric Great product, fantastic service and prompt delivery. Not been offered a discount previous which I have emailed about and my emails gone unanswered so this is good news. Review Focus Dailies Toric I have used these lenses for over 10 years now and have never found anything better. The service provided by VisionDirect is so much better than my previous supplier and they are equal in value for money. Review Focus Dailies Toric Great value for money. Comfortable to wear for sport and daily activities. Easy to use and speedy delivery. Review Focus Dailies Toric Not a great product, was happy to switch. Review Focus Dailies Toric These have been my tried and tested Lens choice for a number of years now. I have tried a few others but always have gone back to the Focus Dailies. I mainly use my Lens for playing Sport otherwise I wear glasses. Review Focus Dailies Toric Very pleased with them - some days wear for up to 18 hours and still no discomfort. 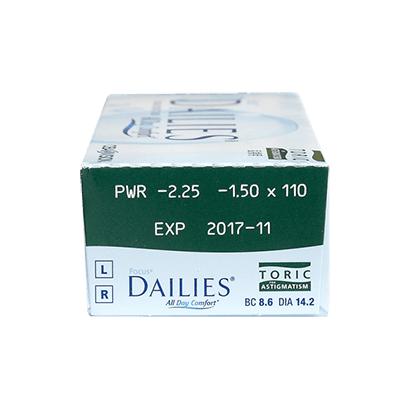 Review Focus Dailies Toric This product is very good for daily use for up to 12 hours, anything beyond this time however does cause severe irritation and therefore time of insertion should be noted when applying the lenses. Review Focus Dailies Toric Brilliant product from a brilliant company (super fast delivery) and you even get a little bag of sweets with your order, what more could you want. Review Focus Dailies Toric Great product. Fast delivery. Focus Dailies Toric Great price and very comfortable. Focus Dailies Toric Cheapest daily torics on the market and excellent quality! Focus Dailies Toric Great toric lenses! Comfortable and good value for money. Review Focus Dailies Toric A fantastic company. I use them every time now - excellent service/postage/communication. Recommended! Focus Dailies Toric I have used them for years and really like them. Focus Dailies Toric Good quality, although they are a bit flimsy. But if you are careful inserting them, it should be fine. Comfortable and convenient lenses Used to buy these lenses from my optician, but when I looked online I couldn't believe how much cheaper they were from Vision Direct. I am very pleased with Focus Dailies Toric, they are very comfortable and a great alternative to my glasses. Sometimes they do feel a little dry, however it's nothing I can't live with. I have found that eye drops make a difference in these situations, it's just remembering to have them in my handbag. Great toric lenses. Great toric lenses, Focus Dailies Toric are the first lenses I’ve worn, and I would definitely recommend them to other wearers considering contacts. They’re very easy to apply, with an ‘OK’ marker than lets you know if you’ve got the lens inside out (you see ‘KO’). My vision is the same as if I was wearing my glasses, but at least I know longer need to worry about being unable to see in the rain, or knocking my glasses off during sport. the best i can get for my prescription these lenses give me the best vision for my prescription - nothing else works so well. 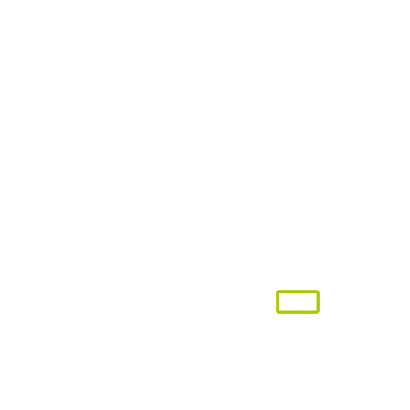 Vision Direct are the best suppliers for cost conscious wearers. Find out how to read your prescription for Focus Dailies Toric lenses including base curve and diameter. Focus Dailies Toric are bestselling toric contact lenses manufactured by Ciba Vision. They’re perfect if you have astigmatism and, as daily disposable lenses, offer great convenience and hygiene. Focus Dailies Toric lenses use blink-activation technology to release moisture into the eye with every blink, providing the eyes with the hydration they need to stay healthy and feeling fresh throughout the day. Ciba Vision’s Lightstream® Technology also means that this lens has a smooth, non-ionic surface that prevents any protein build ups that can cause discomfort or poor vision. The shape of this toric lens also ensures that the lens will fit comfortably on the eye and stay in place for consistently crisp sight. An ‘OK’ inverse indicator on the lens surface also makes putting them on the right way easy making these lenses perfect for new contact lens wearers. For toric lenses that make use of Lightstream® Technology with an even more advanced blink-activation moisture release, try Dailies AquaComfort Plus Toric.